"They stick their nose everywhere!" WCF's head boy? WCF in general? Local committee? Ice-Makers? I missed this. Did he say it during the game or in an interview? Goo said it during the 5th end break - when the ice-makers, probably acting on advice from ICF honcho-puffs decided to re-do and re-cast the ice. . . . This was pre-determined but Goo was really annoyed that each team was only allowed 1 rock to throw and get "feel" of ice. In the end Gushue & possibly Scotland broke the ICF stranglehold on insufferability; allowing player to throw a rock - causing approx. a 20 minute break between the end of the 5th end and the start of the 6th. Mark Nichols was also visibly annoyed. The Scots seemed stoic. having read mouat's interview after the loss to canada it seems scotland have a pretty negative attitude toward the bronze medal game. going to be hard for them to park it and regroup for a medal it doesn't sound like they really want to play for. i'm gonna go ahead and change my prediction. The only countries that think the bronze would be a good idea are the newer teams to curling. Historically, Canada, Scotland, Sweden, Norway etc have been world champs. They do not need the be the second best losers. I disagree, they are Scotland. More pride than to be second best loser. What “value” is there in the bronze medal? I disagree, they are Scotland. Mor pride than to be second best loser. What “value” is there in the bronze medal? i understand what you are saying looking at it from a nation's point of view. scotland has had a great history in this sport so a bronze medal won't be seen as a prize. however looking at it from this individual team's point of view bronze should be seen as something to work for. scotland has a strong curling history but this team doesn't. it's their first time at this level. you can't expect to be playing for gold and winning the whole thing on your first try. you do go out there and set that as a goal but now you have to resettle and recognize that you can still walk away with a medal. after the great week they've had they deserve something. as disappointing as bronze might seem right now at least it's a medal, which a first time team should be able to appreciate. and another "big game" on one sheet, with all the camera's, everything focused on that one game. Won't they also get more money and more OOM points for finishing 3rd vs 4th? Also potentially more sponsorship as world bronze medalist. How many teams can say that. however looking at it from this individual team's point of view bronze should be seen as something to work for. scotland has a strong curling history but this team doesn't. it's their first time at this level. you can't expect to be playing for gold and winning the whole thing on your first try. you do go out there and set that as a goal but now you have to resettle all nd recognize that you can still walk away with a medal. after the great week they've had they deserve something. as disappointing as bronze might seem right now at least it's a medal, which a first time team should be able to appreciate. Would Canada been happy coming home with a bronze last year? This game means way more to Kim than it does then Mouat. Would Canada been happy coming home with a bronze last year? karma after not bringing their coach to worlds. Or karma for dismissing their Olympic coach without so much as a thank you. I've seen all the greats from Don Duguid, Owl Northcott, Hector Gervais, Al Hackner, Kerry Burtnyk, Jethro Stoughton, Randy Ferbey, Rick Folk, PeeWee Pickering, Lukowich, The Howards, Wayne Middaugh, Kevin Martin, may as well toss Nik Edin into the mix.
. . . . . hi-level curling temperaments from lead to skip, an all-star sub if required, best coach in the game. Goo gave up a quick deuce to Cousin Brucie from Scotland in 1 but scoffed his way back and gradually broke Bruce & his masterful 3rd Grant Hardie by outstanding placement and strategy. Young Scots just don't have the experience at this level. 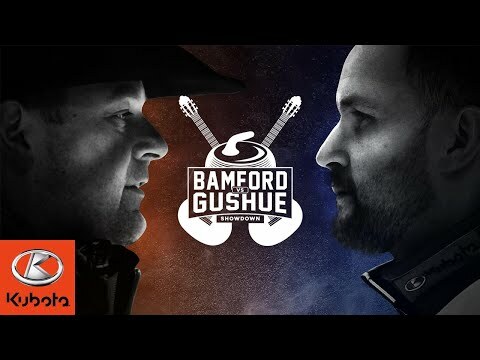 Both Gushue and Edin are masterful tormentors of opposing teams. Hard to say who's better. In the nuanced game of house-stacking to the 4 foot no one is better than Brad Gushue. . . . Edin is close but NOT as good . . . . as far as higher-weight doubles and short to medium bounces Edin might be the better man, again not by much. Gushue, despite 3 losses in the RR might be curling better than his brier conquests and/or his last Olympic gold. His players are on top of their game. Great matchup at 3rd with Mark Nichols confronting Oskar Erickson. These two will torment each other to no end - and gloriously from the get-go. Back to Gushue as the greatest Canadian team I ever saw. I'll back that claim, especially if he takes th duke today. . . . But I do know inferior ice conditions, corn straw brushes and lesser fitness would put those teams at a clear disadvantage vs. todays monsters like Koe, Gushue, Stoughton, Jacobs, etc. The only guy I can still hold up with an edge over Gushue is Edmonton's Kevin Martin. When Martin was on his game (which was usually always) he could torment the best of them. 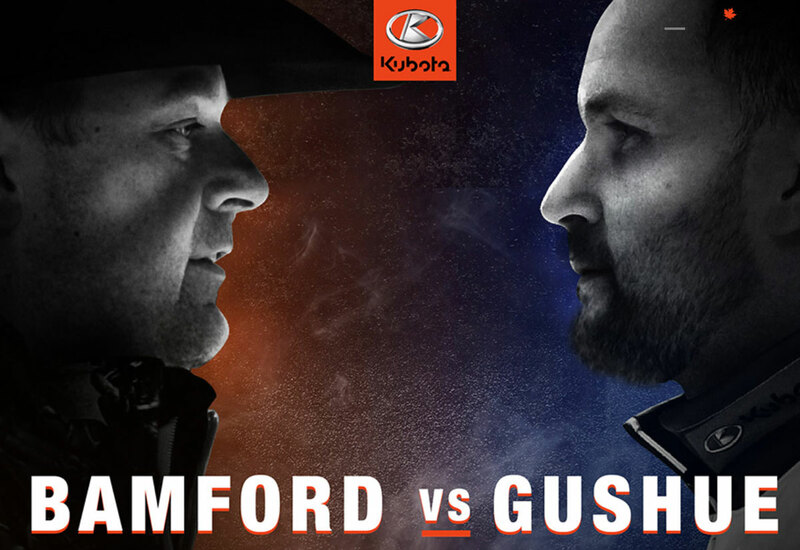 I'll give Gushue the advantage over K-Mart in demeanour and thinking under extreme duress. Remember, Kevin was a bit of a clown with strategy under duress as his less than stellar record at worlds would have us believe. Martin is thus the only one from the modern era who I'd still rate slighty over Gushue. But Gushue is closing in - like the dickens! great rebound match for the young scots. they really did play brilliantly .would have been easy to phone it in but they wanted this. There are too many unnecessary zooms and weird camera angles, especially on important shots. Just pan out and show the proper shot perspective. It's curling, not a music video. just enjoy it is being televised! Slik Nik is curling up a massive storm - and he's leaving Gushue stranded at port . . . Took him 4 ends but it appears Edin has finally broken Goo - as Brad comes up a couple ft short on a draw to the 4 ft. facing two. The world's greatest curler - not so great tonight. Time for a spinorama and handshakes. Well, at least Goo bailed TSN out of a ton of hurt by lasting 8 ends into the gold medal game. Possibilities abounded he might not make the FINAL 4 - and that would have devastated TSN - making Vic/Cheryl/Russ kinda redundant with zero Canada games. In the end - Sweden lost 1 game, Canada lost 4. Sweden is the better team. Still a great year for Goo - winning his 2nd straight Brier and going GOLD-SILVER in back to back world appearances. Jenny had the best year in Canadian curling - a slightly unexpected win at the Scotties - after playing Manitoba without Kaitlyn Lawes. Jill Officer retired, Jones took on all comers without her A+ game (which she no longer has btw) but Jones staved off all comers and managed to disable the great Swedish skip, Anna Hasselborg in the best curling game of the year to win world gold. After that, the juniors showed up for the worlds and Little Kaitlyn stormed thru the Olympic mixed doubles for gold w/ John Morris in the saddle. Ms. Homan soiled herself badly at the Olympics but she did win the Olympic trials in her hometown fair and square, including Jones, Carey & Sweeting. The biggest surprise this year was Kevin Koe being as raw and indecisive as we've ever seen at the Olympics. All teams have improved - except Canada. I have a strong feeling Gushe would have preferred a trip back to the Olympics but such is life. 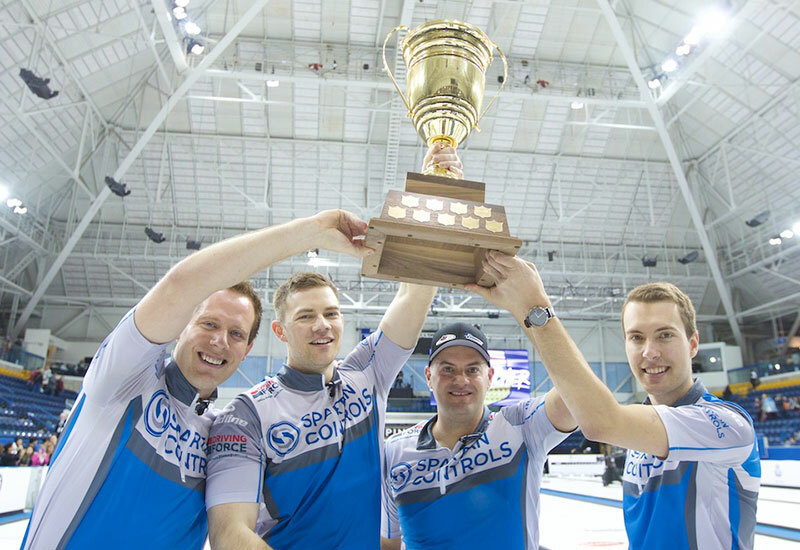 Koe disbanded fairly quickly - probably made the decision before or during the Olympic games. 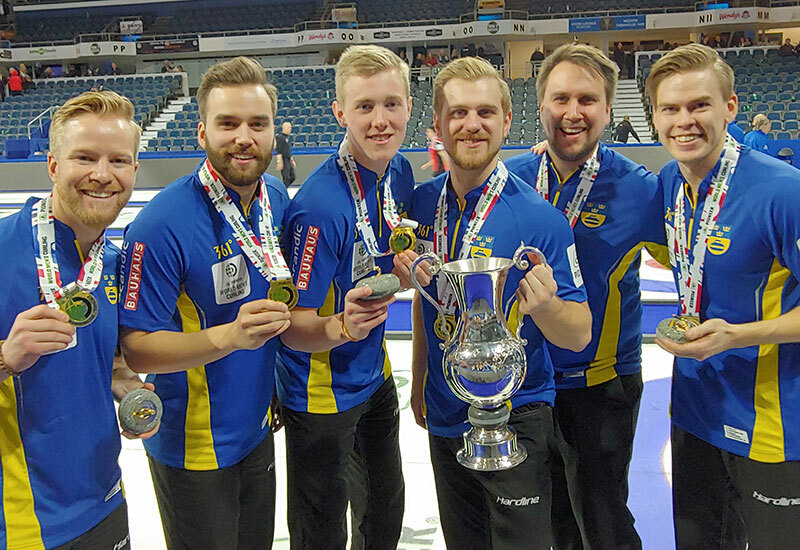 So the reality is world curling is getting better - and Canada probably has only 3 or 4 mens teams who can confront monsters like Edin. 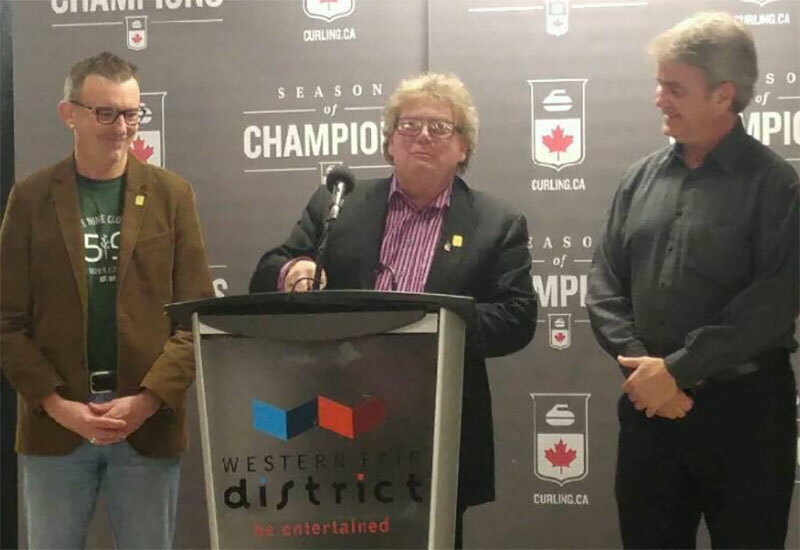 Obviously Gushue, Jacobs, the rebranded Koe group, new life forms like Laycock & Carruthers/McEwen. In the women's game everyone has gone topsy-turvy after the last Olympic cycle ran its course. Jones would have stayed together but now have the incredible Joss Peterman working in the 2nd position. 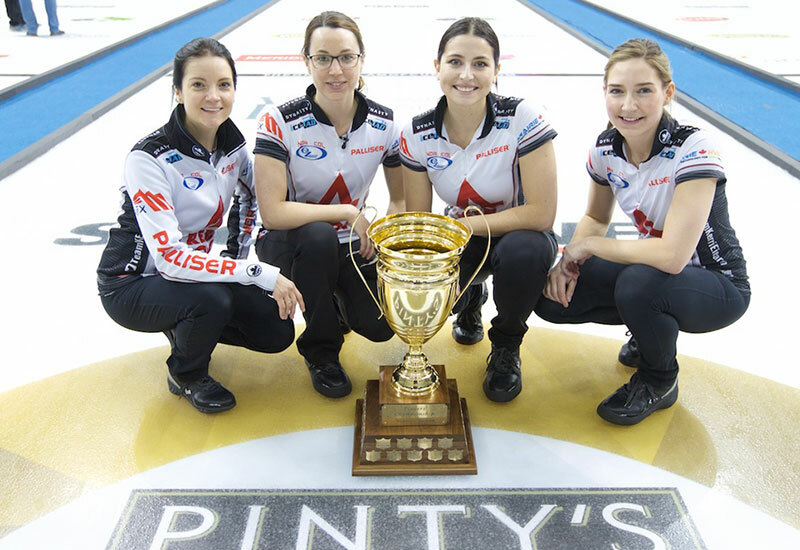 The Mean Girls (aka Team Homan) will remain together and will no doubt be out for blood next season. . . . . having to qualify out of Ontario or heaven forbid having to get into a play-in game . . .
Lots of depth in the upper middle and middle of Canada's women and mens programs but fairly thin in the gold & silver capable shooters. Next year Jones entire season will be dedicated to trying to capture a record-setting 7th STOH title - and being able to confront and defeat Rachel Homan, who usually has Jones' number. Jones will be trying to lure Rachel into a nuanced game - cuz its pretty obvious she can't beat Rachel in the accuracy and sharpness categories. The Scheideggers lurk after the Top 3 - lack of experience and no coaching caused them to falter at he worst time at last year's STOH. I'll still place Gushue at the top of the class in mens - trying to capture his 3rd straight Brier. Koe, Jacobs, McEwen/Carruthers, Epping, Laycock, Cotter - the obvious challengers. the 6 teams that get a bye into the worlds and olympics for 12 years in a row and are funded better than most CANADIAN teams have a huge advantage - like gushue , howard cotter, menard , and most northern and eastern provinces ..
Wow, very well put. The WCF is watering down the competitive level more and more so these fully funded auto berth teams have a chance. Six team playoff is ridiculous...note that both Swedish teams are fully funded curling teams. None of the players hold down full time jobs. Like many of the other European and Asian teams. The only other country aside from Canada where curlers have to work for a living is the USA. i don't really have a problem with teams that are paid to curl full time. why shouldn't you be able to curl full time and earn a living from that. the problem is the money is only there to allow a select few to do it which is unfair. it would be nice if you could have more than a handful of teams fully funded and curling full time. maybe one day that will be the case. i mean, if you have a professional baseball player, tennis player, hockey player then why not a curler. that being said i do hope decruz, and mouat are going to be able to challenge him more as the years pass. it's obvious those 2 , from a european perspective will be his main rivals. smith and walstad will be around but they aren't as good as the 2 mentioned above. i should have stuck to my original predictions . i knew i'd get one wrong but i changed to korea and now i missed both medal games.